Below you fill find all funeral homes and cemeteries in or near Angleton. Suburbs of Angleton: Anchor, Baileys Prairie, Bonney, Clute, McBeth, Richwood. Angleton is also known as: Brazoria County / Angleton city. Their current mayor is Mayor Carl Herbst. Zip codes in the city: 77515, 77516. Brazoria County funeral flowers can be purchased from one of the local funeral shops we partner with. Some of the notable people born here have been: Ray Willis (american football player), Gilbert Gardner (american football player), Keith Toston (american football player), and Erika Jo (singer). 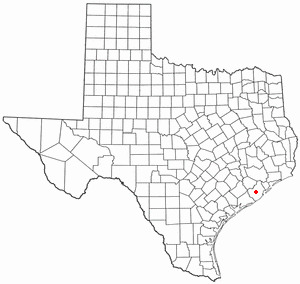 Angleton is a city in and the county seat of Brazoria County, Texas, United States, within the Houston–The Woodlands–Sugar Land metropolitan area. Angleton lies at the intersection of State Highway 288, State Highway 35, and the Union Pacific Railroad. The population was 18,862 at the 2010 census. Angleton is in the 14th congressional district, and is represented by Republican Congressman Randy Weber. It was reported on January 3rd, 2019 that Michael Patrick Brown passed on in Angleton, Texas. Brown was 56 years old. Send flowers to express your sorrow and honor Michael Patrick's life. It was revealed on October 19th, 2018 that Bruce William Gidley died in Angleton, Texas. Gidley was 69 years old and was born in Hastings, NE. Send flowers to share your condolences and honor Bruce William's life. It was reported on September 26th, 2018 that Bruce W Gidley passed on in Angleton, Texas. Gidley was 69 years old. Send flowers to express your sorrow and honor Bruce W's life. It was revealed on May 24th, 2018 that Eva Jane Harig (Russell) died in Angleton, Texas. Ms. Harig was 93 years old and was born in Salem, NE. Send flowers to express your sympathy and honor Eva Jane's life. It was reported on August 12th, 2017 that Tommy Matchett passed on in Arkadelphia, Arkansas. Matchett was 59 years old and was born in Angleton, TX. Send flowers to express your sorrow and honor Tommy's life. It was noted by Texarkana Gazette on April 26th, 2016 that Glenn Dale Bozarth passed away in Angleton, Texas. Bozarth was 54 years old. Send flowers to express your sorrow and honor Glenn Dale's life. It was reported on March 6th, 2015 that Carolyn Rhoads-Brown (Rhoads) died in Angleton, Texas. Ms. Rhoads-Brown was 64 years old. Send flowers to express your sympathy and honor Carolyn's life. It was revealed by The Times at Shreveport La on October 23rd, 2013 that Glenda Rogers (Dare) passed on in Bunkie, Louisiana. Ms. Rogers was 80 years old and was born in Angleton, TX. Send flowers to express your sympathy and honor Glenda's life. It was noted by Amarillo Globe-News on January 1st, 2013 that Billy William Setser passed away in Angleton, Texas. Setser was 90 years old. Send flowers to share your condolences and honor Billy William's life. It was reported by Odessa American on November 2nd, 2012 that Darrel Lee Brewer passed on in Angleton, Texas. Brewer was 54 years old. Send flowers to express your sorrow and honor Darrel Lee's life. The town was incorporated on November 12, 1912. Angleton is in the Texas's 14th congressional district congressional district [http://nationalatlas.gov/printable/images/preview/congdist/tx14_109.gif], and is represented by Congressman Ron Paul. Angleton was founded in 1890 near the center of Brazoria County and named for the wife of the general manager of the Velasco Terminal Railway. The population was 18,130 at the United States Census, 2000 census. Angleton lies at the intersection of Texas State Highway 288 Highway 288, Texas State Highway 35 Highway 35, and the Union Pacific Railroad. Angleton is a city in and the county seat of Brazoria County, Texas County, Texas, United States, within the Greater Houston metropolitan area. The official website for the city of Angleton is http://www.angleton.tx.us. Listing all funeral homes in Angleton, Texas so you can easily send flowers to any location (same day delivery) or find any funeral service. We work with local florists and flower shops to offer same day delivery. You will find budget sympathy flowers in Angleton here. Our funeral flowers are cheap in price but not in value.